9: Hay, Hay, What Can I Eat? I’ve switched up Grace and Ada’s hay from all Timothy Hay to a blend of Timothy and Orchard Grass. Hay is a key component of the guinea pig diet. I talk about why I made the change and how the piggies like it. Guinea pigs can suffer heat stroke and die in temperatures above 80 degrees F (26 C). Here is how we manage high summer temperatures so Grace and Ada keep their cool. I got a Shure MV88 microphone and somehow managed to get a few wheeks from Ada in exchange for radicchio. This week Ada sits in while I talk about the virtues of Abyssinians, my favorite guinea pig breed. Related: guinea pigs like to chew your electronics’ cords. In this episode I talk a bit about how I got Grace and Ada and what I learned from the process. 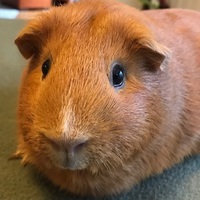 Still finding it difficult to get the guinea pigs to talk when I record; important facts about Vitamin C and guinea pigs. 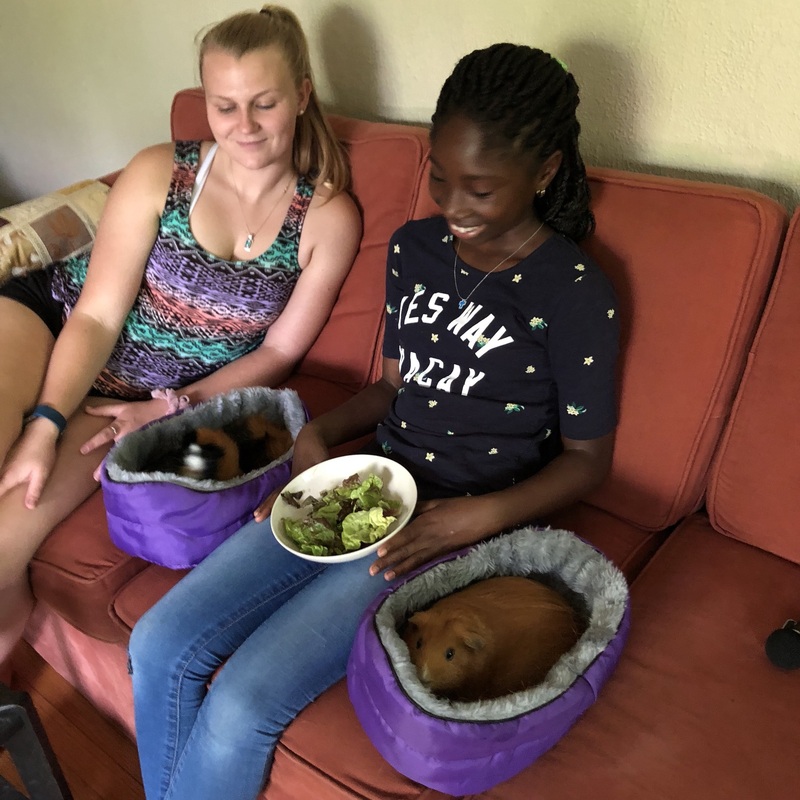 The guinea pigs are shy on their first podcast appearance.